I know I said I'd be here more than once a week and I've been slacking already but life has been pretty none stop at the minute but I'm back and more in love than ever with this hair product I'm about to let you in on. After undergoing the "chop" last spring I have been loving my bob, however in the UK its cold 70% of the year and the short hair was certainly not the best hairstyle for keeping my neck warm so I decided I wanted longer hair again and now I'm on the journey of putting some life back into my hair, without the use of heat but also finding something to put some "umfph" into it. 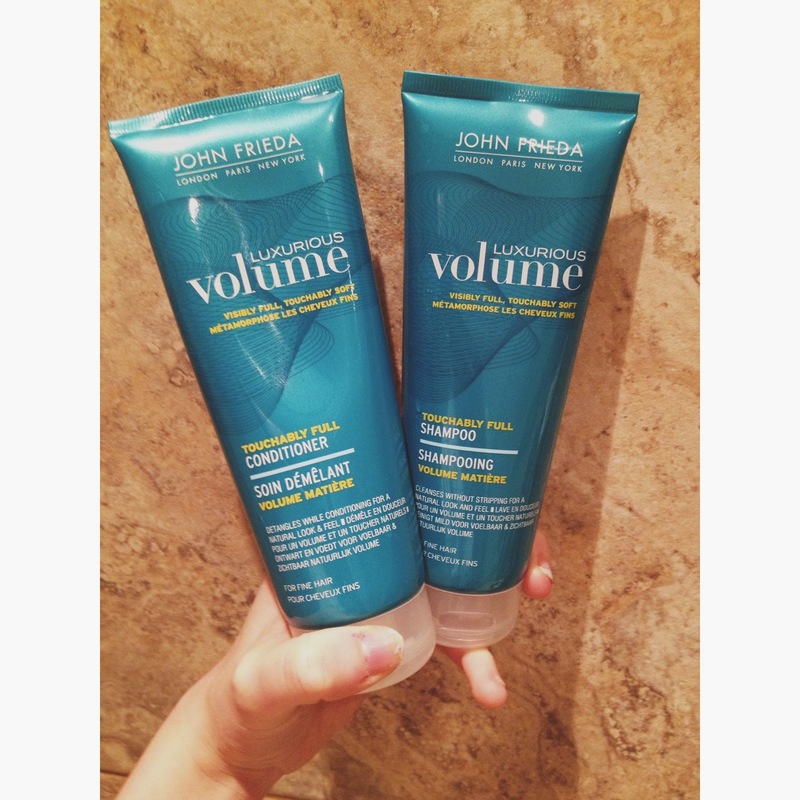 I know everyone loves Boots for their offers and when I spotted the JOHN FRIEDA Luxurious Volume products I couldn't say no at 3 for £10. I'm not sure how long this range has been out for, I could be v late jumping on the bandwagon but my oh my it is amazing!! I've never had faith in a shampoo that can give you volume but I can guarantee you will be gobsmacked. My hair is naturally quite thin and even after a blow-dry it is lifeless, however with the Luxurious Volume shampoo followed by the conditioner my hair looked like it had that second day, dirty, workable volume that I could anything with. I cannot rant about this range enough and I'm sure my friends and family are soon to be getting an earful about how fab it is!! I'll be here again soon... I promise this time.